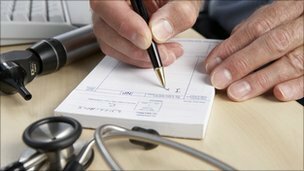 Patients have a legal right to receive treatment within a maximum 12 weeks of diagnosis under new laws. It means those who need planned inpatient or day case treatment will be covered by a treatment time guarantee. They will have a legal right to receive it within a maximum of 12 weeks from when they are diagnosed and agree to the treatment. The guarantee is one of the rights in the Charter of Patient Rights and Responsibilities. The Government must go further in prioritising mental health services and addressing under-provision in the sector, Liberal Democrats have agreed. Delegates at the party’s autumn conference in Brighton backed a motion calling on the coalition to ensure mental health policies were being implemented on the ground. Norman Lamb, newly appointed Minister for Care Services, spoke of the “vast” cost to society and the economy of mental illness, saying the issue was “ignored too often” by the political classes. Cutbacks to leave man without care? A DISABLED man deemed homeless could be left without social care provided by Lincolnshire County Council. Andrew Battenberg, of Stixwould Road, Woodhall Spa, said the county council has threatened to remove his Lincolnshire Assessment and Reablement Service (LARS) care, and he will have to replace it with direct payments to the NHS or engage with other care services. LARS provides care to a large number of families in the area who could also be affected. Andrew was involved in a serious car accident in 2009 and, as a result, needed to make necessary changes to make his Woodhall Spa home accessible.